Ashley Ward Joins Signature Bank as Loan Operations Officer | Locally owned and operated community headquartered in Sandy Springs, Georgia. Sandy Springs, GA, December 9, 2016	(Newswire.com) - Signature Bank of Georgia President Freddie Deutsch announces Ashley Ward has joined the team as Loan Operations Officer. As an accomplished Real Estate Manager with ten years of experience in operational efficiencies, workflow automation and data analytics; Ward will be a valuable member of the loan operations team. 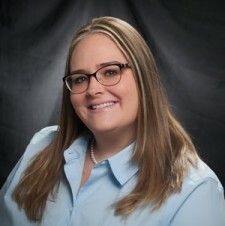 She most recently served as a Title Curator with a local law firm and she has gained extensive knowledge in compliance guidelines, title filings, operational improvements and business continuity and planning. “Finding someone with Ashley’s experience and her desire to deepen her loan operation skills makes her a great fit for the position,” says Nadia Perrmann, Director of Loan Operations and Compliance. “Attention to detail with strong focus on follow-up to closure is essential in this position and I look forward to having Ashley’s support as our loan portfolio continues to expand." As Loan Operations Officer, Ward will assist the Director of Loan Operations in coordinating the lending operations of the bank as well as provide best in class service to the bank’s lending teams. “This is an exciting change and opportunity for me,” said Ward. “I’m excited to learn new things and expand my experience level into the financial lending field. I’ve heard great things about Signature Bank and the level of service they are committed to provide. I’m also especially excited about the size of the company and the opportunities to grow and bring a true value to the team." Ward will be located in Sandy Springs at 6065 Roswell Road. Her email address is award@signaturebankga.com and her direct dial number is 404-256-7718.